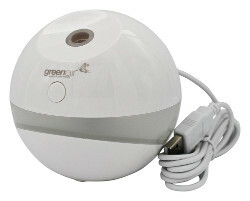 There are literally hundreds of uses for essential oils and essential oils diffusers. They can be used to prevent illness (flus, colds, coughs, and more), help you breathe easier, clear the air, cleaning, air freshener, help you relax, lift your mood, help with insomnia, and so much more! With so many options available, it can get overwhelming to choose which are the best essential oils diffusers for your home. 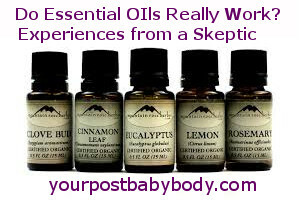 The answer lies in what you want to get from the essential oils. Are you looking for a humidifier, therapeutic benefits or do you just want a natural, organic way to freshen up your home? Even if you do just want them for their scents, essential oils are much better for you then the typical scented candles you can purchase at your local grocery store. You probably didn’t know that prolonged use of scented candles, plug-in air fresheners, and other air fresheners can cause quite a bit of damage to your lungs and body. This is because most scented candles contain chemical toxins that are released into the air as the candle burns. Breathing these toxins in can cause severe damage to your lungs, brain, and more. Unless you purposely purchase scented candles without these toxins, it’s likely every candle you have in your home has them. When I discovered just how bad scented candles are for my kids and I, I felt sick. I don’t use them that often but I did still use them up until I realized how bad they are for you! I went through my home and just threw them all out. Now I stick with essential oils. They smell better anyway and provide endless benefits. didn’t use essential oils in my home until a couple weeks before my last son was born. Before then I’d always been skeptical about the benefits they can really provide and felt like they offered more of a placebo effect. However, I got quite sick a couple weeks before my son was born and literally nothing worked until I turned to essential oils. It was incredible how much they helped me and how much of a difference they made. Since then, I use them wherever I can in my home and have seen numerous benefits for my kids and I. To read more about my experiences with them, see my post here. 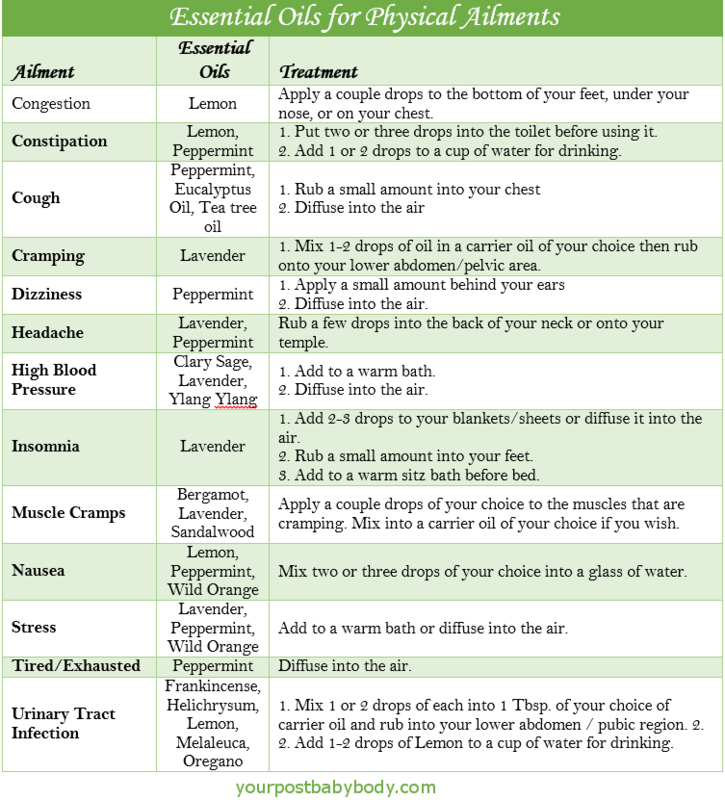 Below is a chart showing some great uses for some of these oils. I know dozens of people who swear by essential oils, and, I never thought I’d say it, but I’ve become one of them! I’m very happy with the results I’ve gotten and would recommend them to anybody. My favorite place to get them is Mountain Rose Herbs because they sell only organic oils that are very reasonably priced. Most of their oils sell for at least a third of the price you’ll get from other distributors. See the great selection of organic essential oils at Mountain Rose Herbs here. 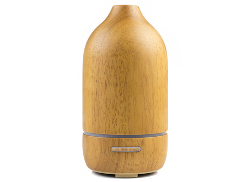 diffuser is used to disperse/diffuse essential oils in a constant stream throughout a room. These oils saturate the air and are absorbed through your skin, in your lungs, and more to provide countless benefits to your body. 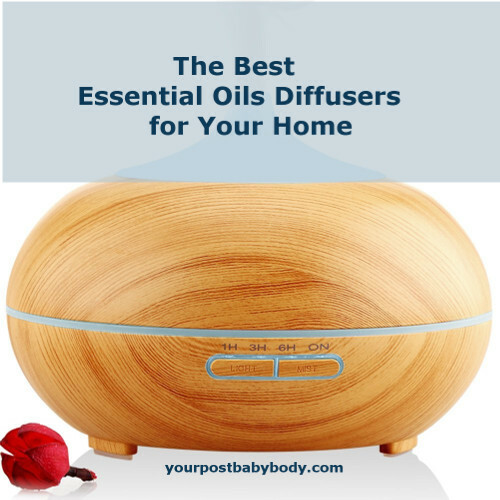 As you choose what the best essential oils diffusers for your home are, you should first consider what you want from your diffuser. There are four main types and each one has it’s own pros and cons. Depending on your specific needs, you should choose a nebulizer, ultrasonic, evaporative, or heat diffuser. If you’re looking for an essential oils diffuser that will give the greatest therapeutic benefits, you’re going to want a nebulizing diffuser or an ultrasonic/humidifying diffuser. These diffusers work very similar to the same way a perfume atomizer works. They distribute the oils throughout the room in a fine spray of smaller droplets with the whole oils. These don’t need to be running constantly to provide their therapeutic benefits and can be overwhelming if they are. They work very quickly in dispersing the oils into the air in smaller particles so you’d actually be better off buying one that has a built in timer so that it only runs 10-15 minutes an hour. This will help so the essential oils don’t run out as quickly. Doesn’t take away from the oils therapeutic effects. Oil runs out faster because it isn’t mixed with anything. If anything is mixed with the oil, it can ruin the diffuser. These diffusers are by far my favorite and the kind I see most often! They really do work great and I love mine! Like the nebulizing diffusers, they saturate the air with a fine mist but they do so differently than the nebulizing diffuser. An ultrasonic diffuser uses electronic frequencies to vibrate a liquid the oils have been added to (usually water). These vibrations break the oil into smaller, uncompromised particles than the nebulizers do and these particles are distributed into the air. The tinier particles are easier for your lungs and body to absorb thus providing greater therapeutic benefits. These are usually fairly cheap and work great! Therapeutic benefits aren’t diminished as the oils are dispersed. Oils last longer because only a few droplets are added to the water. Though looks don’t affect how they function, these generally look more like beautiful home decor. See some of the great options I’ve listed below. 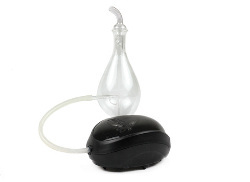 Mixed with water so the concentration of the oils in the air is not near as much as the nebulizing diffusers. Doesn’t have a constant air supply to distribute oils so it’s harder to fill a large room. It depends on the air flow in the room to disperse the oils. 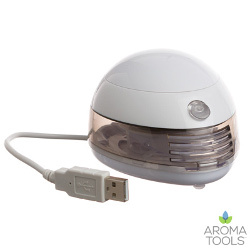 These basic diffusers use a fan to blow air from the room through a pad/filter that has essential oils in it. This air causes the essential oils to evaporate faster than they normally would and gets the scent into the room pretty quickly. The downside is because the oil evaporates the components are separated and you’re not getting the whole oils or the ideal therapeutic benefits that you could be getting with a nebulizer or ultrasonic diffuser. 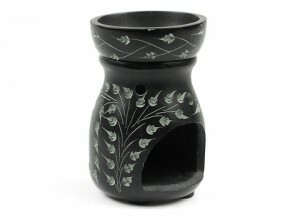 These diffusers also cause the essential oils to evaporate faster than they normally would. They use varying levels of heat to disperse the scent of the oils throughout the room. The best heat diffusers will use low heat and have a more subtle scent because if too much heat is used it changes the composition of the oils and takes away many of the therapeutic benefits they can provide. Do you have any essential oils diffusers that you prefer? What do you think of the ones I’ve listed here? Let me know by leaving a comment below! You have done a great job explaining the benefits of using essential oils in your home. I have always been a big candle user and have never realized the harm they can cause. I only buy candles made of pure beeswax, do you know if those are harmful too? I have bookmarked this page and will be coming back to make a purchase. Thanks again for sharing this information. Hi Jessica, thank you very much for this post. I think it’s great for everybody, not only new moms. I do not have babies yet I’ve just learned some very useful information about aromatherapy. 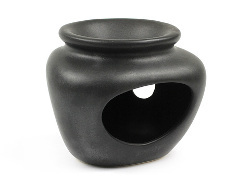 I never thought there are so many kinds of oil diffusers! I have put quite a bit of time into researching essential oils and their uses. I use them in my own home daily and absolutely love them! Some essential oils that will help with insomnia are lavender, bergamot, roman chamomile, and ylang ylang. You can put them into a diffuser or put a couple drops into your sheets before you go to sleep. They should help you to relax and fall asleep easier. Aloha! I work at a spa here on maui and I love our diffusers. We have diffusers in each room & everyday we get to pick our own essential oils that we mix ourselves. Its great because everyday there is a new scent and all of our essential oils are made and customized. The one seen on your site is almost the same as the one we have too! I love essential oils. After researching them quite a bit I threw out all the scented candles I had in my home and bought a diffuser and oils instead. 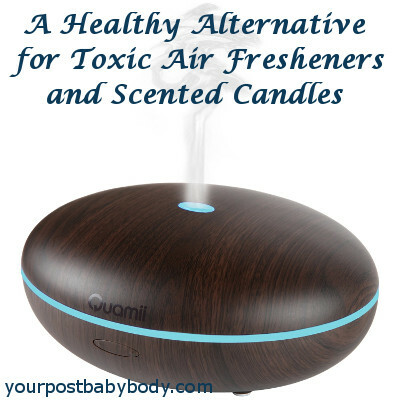 The chemicals in scented candles and air fresheners are horrific and not something I want my kids breathing in! I really love essential oils and in our family we tend to use two of them quite frequently. This first is peppermint oil and the second is lavender oil. The peppermint oil is something I use all the time at night, because I tend to get stuffy and it does a great job of expanding your nasal passages. My wife loves using the lavender oil because it’s so soothing and really helps her sleep. I too love them and use them quite a bit in my home. From everything to sunburns to keeping my boys well to postpartum care. They really work miracles! Wow, I never knew they were so many types of diffusers. Whenever I walk around shopping malls and see diffusers on sale, I had always thought that they were all the same type. Now that I have been educated (thanks to your article), I think I would prefer the ultrasonic diffuser. However, my room has no windows, thus very little wind comes in. What do you think will help in dispersing the oils? Most people think that all diffusers are the same but, you can see, they really aren’t. I too would and have gone with the ultrasonic diffusers because they’re more wallet friendly and offer the same healing effects. I’ve been studying holistic health for a long time and truly believe in the magic of essential oils. I read your post with great interest because I’ve been looking for a good diffuser for my bedroom. (I like to diffuse lavender at night to help us sleep well) From my experience it’s worth it to spend a little more and get a quality unit, than to purchase an expensive one only to have it last a year. Great post here. Thank you. I too use use lavender to help me sleep at night. It’s amazing how much of a difference these oils make and the type of diffuser you use for them really makes a difference! This is a really wonderful article. The annoying symptoms, while you are pregnant, is the morning sickness. I feel so tired and there is this constant urge to vomit. This feeling makes me unable to do anything, I think the first useful essential oil for me is the lemon essence and that is something I’m holding onto as of now.